Ryan Kopf is the organizer of six or more annual conventions in the Midwest. In his youth he ran for mayor of Muscatine, Iowa, in 2007 at age 19, began a youth advocacy campaign to build a youth center in Muscatine, started two online news magazines, and developed dozens of websites. 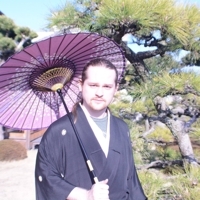 He is perhaps best known for founding UpcomingCons.com, a complete directory of Anime, Sci-Fi, Comic, and Game Conventions. He is currently helping organize several anime conventions, and developing several websites. Ryan built UpcomingCons.com with a desire to promote fandom as a whole, not entirely focused on one genre. Ryan knew that, with the right technology and knowledge, he could develop an extremely useful website that would bring fans together and promote fandom as a whole. This encyclopedia entry is mostly just a test for formatting the UpcomingCons.com Website. We are trying to make our encyclopedia look cool, and this entry is the main place that we test new features. Ryan Kopf grew up in the Midwest, lucky enough to land in a middle school that had a decent computer lab. Ryan visited this lab every day to learn more about computer programming, practicing with HTML and Perl on a free webhost, and learning a little about game design from RPG Maker. After working with RPG Maker, which comes from Japan, and watching shows like Sailor Moon and Dragon Ball Z, Ryan started to become familiar with the anime culture world. Eventually he found out what “anime” was when watching Trigun in High School. Kopf organizes some very large events that have a focus on anime, video games, and popular culture. His events focus primarily on the Japanese anime side of things, as it appears he has been an anime fan for a long time, and has regularly visited Tokyo to connect with Japanese companies and potential convention guests.